At Google Cloud Next ‘18 it was great to see and hear about a number of G Suite and Google Apps Script updates. In the past when I’ve presented on App Script a common question used to be what was the sustainability of the product. Given the continued investment in Google Apps Script and it’s integration within other Google products like AdSense, Data Studio and App Maker to name a few, the future looks very promising. 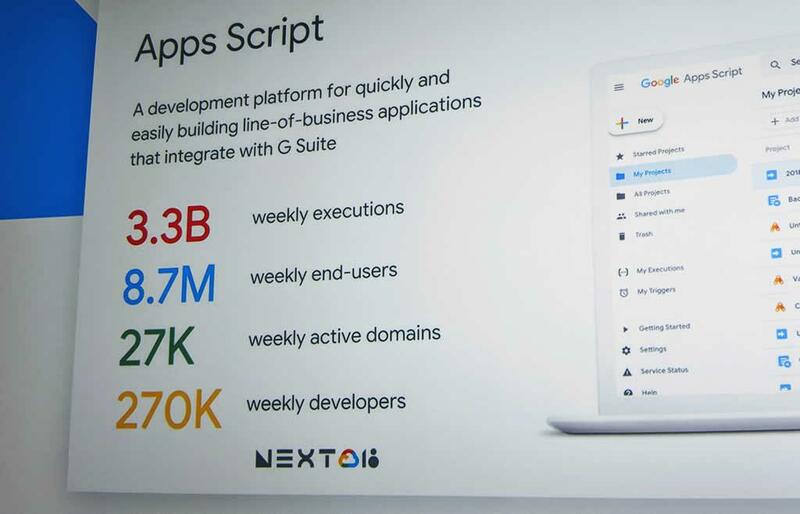 There were also some impressive stats shared about Google Apps Script at Next: 3.3B weekly executions; 8.7M weekly end users; and 270K weekly developers. 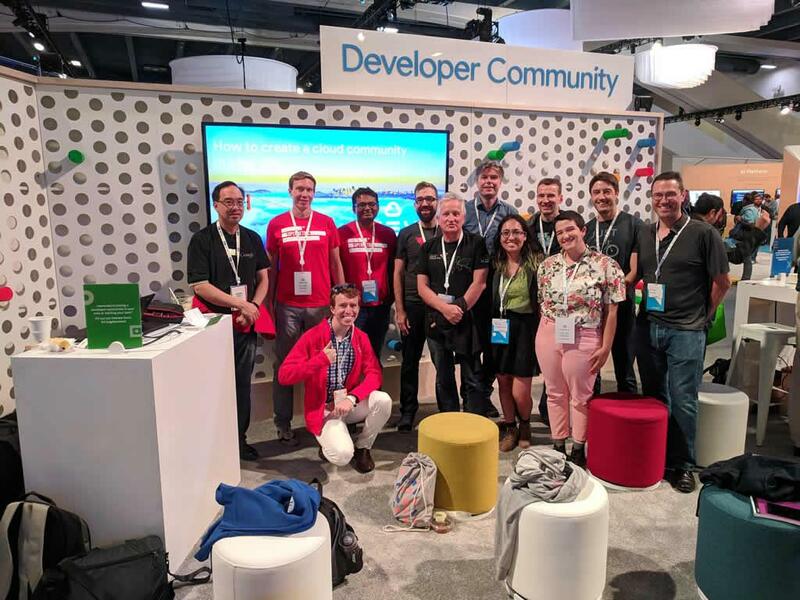 Some of those 270K developers had the opportunity to meet-up at Next, many meeting face-to-face for the first time, as well as an opportunity to speak to some of the Googlers who are supporting Apps Script developers. As part of Next ‘18 there were a number of sessions introducing and highlighting user stories, a summary of some of these have been highlighted in this list compiled by Wesley Chun and I’ve created a YouTube playlist of recorded sessions). Create, read, and update Apps Script projects. Create and manage project versions. Create and manage project deployments. Monitor script use and metrics. clasp – a Google Apps Script Command Line Interface (CLI) which now supports TypeScript. Other recent announcements include the Hangouts Chat Bots, which can be powered by Google Apps Script, were announced in February 2018, news of Calendar Add-ons broke in June 2018 and the Google Sheets Macro Recorder was launched in April 2018. Reliability – “simplified and more robust architecture for enterprise grade reliability” … whatever that is. Flexible Quotas – removal of daily quotas are replaced with high cap rate limits. You can sign-up for early access. G Suite Developers Hub – expanded dashboard with templates, starred projects and you’ll be able see the status/health and manage all of your triggers.